I dropped back a few spots since the last ranking was published, but will finish the season 40th overall. There are 6 Texas shifter kart pilots ranked in the top 25 (incl. 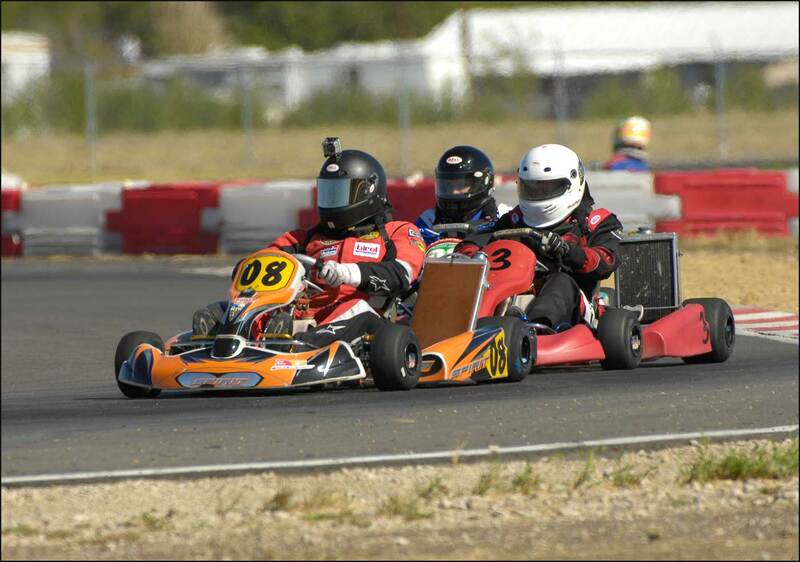 #5 and #9) and several more highly ranked drivers who raced in the Southwest Regional Cup. I still have lots to improve on for next season, but it definitely helps to have great competition in TX to motivate me to get faster. Given that 2011 was my first full season of regional-level karting and with the driving talent in TX, I'm pleased to finished the season in the top 40. Here is a link to the EKN driver rankings and the season wrap-up article. Introducing the E Street Prepared Camaro - "Thrillbilly"
My Dad and I will be running a new car in 2012 for the Solo Nationals and select National Tour and Divisional SCCA Solo events - a 2001 Chevrolet Camaro Z28. We purchased the car about two months ago and as you could probably tell from my last event results, it is race-ready and fast out of the box. 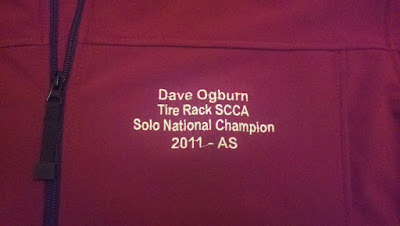 I owe that to 15-time SCCA National Champion Sam Strano who happens to be handy behind the wheel and with a wrench. 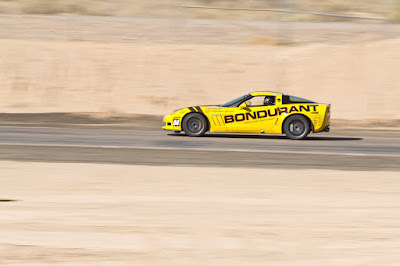 As owner of Strano Performance Parts, Sam purchased this car brand-new back in 2000 and had quite a bit of success with it through 2006 when he switched to F-Stock Mustangs (and reeled off another 4 straight titles....). In 2007 the Camaro was featured on the cover of GM High-Tech Performance. Earlier this year, my Dad and I decided that the STX Mini was not the car for us to run a National competition, but we wanted to start driving together again for 2012. We both like the Street Prepared class for it's level of prep and use of race rubber so we narrowed our search down to CSP, DSP, or ESP cars. 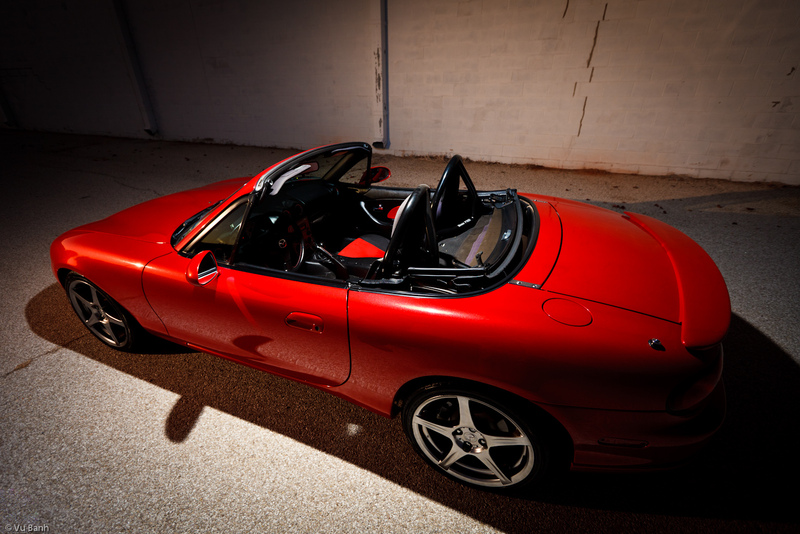 Our goal was to purchase a well-sorted car and if we couldn't find one, then we would start from scratch and build a CSP Miata. A few days after we hatched our plan, Sam listed his Camaro on SCCA Forums and we bought it that night. 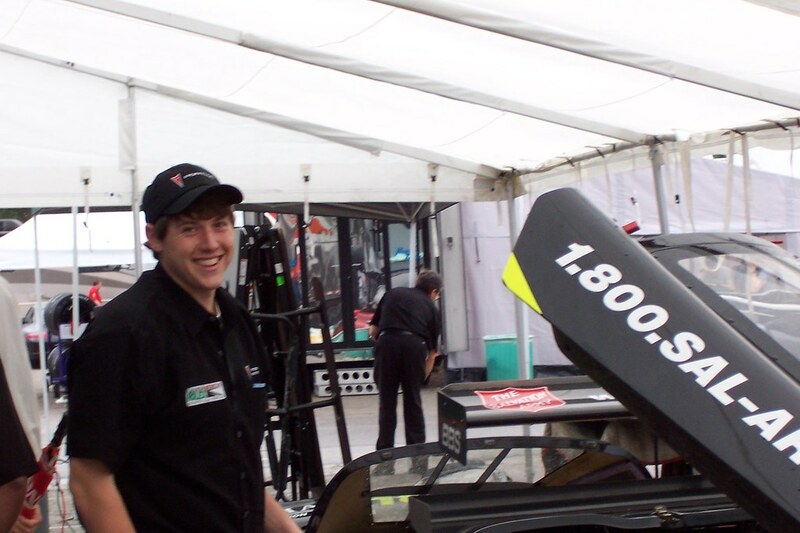 Now for a bit more about the car; Sam prepped it for E Street Prepared class and won National Championships with it in 2004 and 2006. It has a 5.7L LS1 V8 and transfers power to a T56 6-speed transmission courtesy of a Spec Stage 2+ clutch. Power is transferred to the ground by very wide 315/35ZR17 race tires. 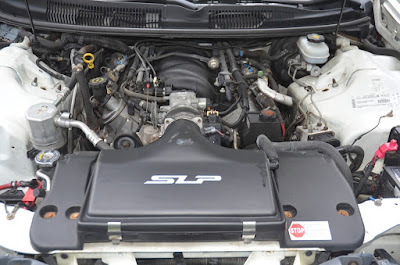 Engine modifications include aftermarket headers, Y-Pipe, and an SLP Loudmouth system from the cats back. A bit more power is squeezed out through an racing intake, Fluidampr harmonic balancer (with underdrive), and a custom tune by Phil Knowles. It cranks out well-over 300HP at the wheels. Despite weight in at over 3,300 pounds, the Camaro carves the corners and has great balance in slaloms. The front suspension is a dual-control arm setup with custom Koni coilovers, stiffer springs, and a Strano performance ARB. The rear suspension is a live axle with a Fays2 Watts link, Koni dampers, Strano performance ARB, and stiffer springs. Axle hop is controlled with a UMI performance torque arm. Braking performance is improved through HPS pads and Brembo rotors working with the stock calipers. Since 2006 when Sam last campaigned this car, there have a been a few rules updates that will allow me to eek a bit more time out of the Camaro. 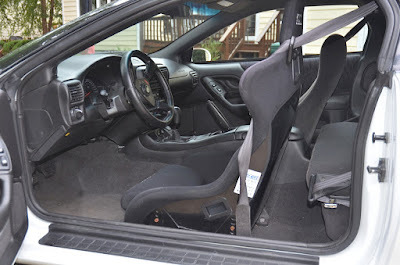 I have a set of subframe connectors waiting to be bolted up and may be swapping out front control arms in the future to net some more static camber. The interior is still stock except for a Sparco racing seat and the car still has a working A/C and radio. I'll pull these items out to reduce some weight before the 2012 season, but for now is still bad-fast with them. Right now, the battery is located in the stock location, but I can swap in a lightweight racing battery and place it in the rear for further weight reduction before next season. After weight reduction, the newer SP class rules allowances for aerodynamic aids (splitter and spoiler) is the other open area of development for me. My Dad will be traveling to San Antonio in two weeks for our first event in the car together so stay tuned for more fast laps from the ESP Camaro. I got my car detailed today (thanks Ali!) by Longhorn Motors and wanted to take some photos while the car still looks immaculate. After about twenty minutes of me taking so-so photos, my buddy Vu (his blog here) showed up and turned my photoshoot into a magazine cover quality shoot. Thanks for the great photos Vu! My Mazdaspeed Miata is for sale so comment or email me if you are interested. 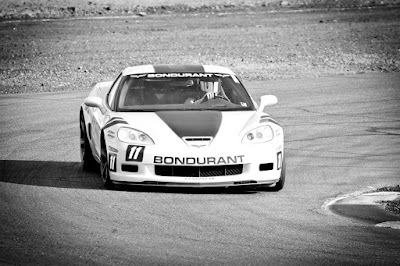 I made two video compilations from the Bondurant trip two weeks ago. First is in-car video from each track we drove and the second is of my racing buddies and I trying to kill each other at the local indoor kart track. The Texas Lone Star Grand Prix was featured on Jalopnik.com today with TX shifter kart racer Michael Ryan Johnson shown doing donuts at the TX Fairgrounds. Pretty entertaining video and great to see karting make it onto a popular site like Jalopnik. LoneStar GP Promo from John Shofner on Vimeo. Sam Strano put one of my onboard videos from this past weekend's autocross on his website. Getting compliments from an 8-time Solo National Champion means a lot and I look forward to working with Sam to put the car at the top of the E Street-Prepared Class. 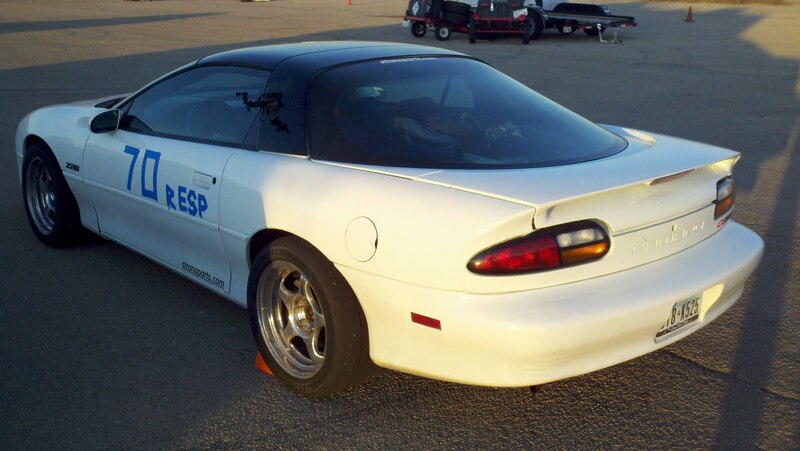 On Sunday, Lane, Yama, and I returned to Mineral Wells Airpark for the Equipe Rapide Challenge Cup #10 autocross. The course was different from Saturday's but they shared some similar elements which helped the course walking learning curve. Also, the two day's were scored separately unlike a National event so the slates were wiped clean for Sunday's event. Again, I ran first heat and the first run was a throw-away as the tires gained heat and the track was cleaned off. I was able to get to pace pretty quickly with 50.6 and 50.5s runs on the 2nd and 3rd runs respectively but nicked cones on both. On my 4th run, I dropped in a cone-free 50.3s time which was what I needed considering it proved to be my last run of the day. On my 5th run, I hit a cone on the 2nd half of the course and instantly felt my LF tire go down. 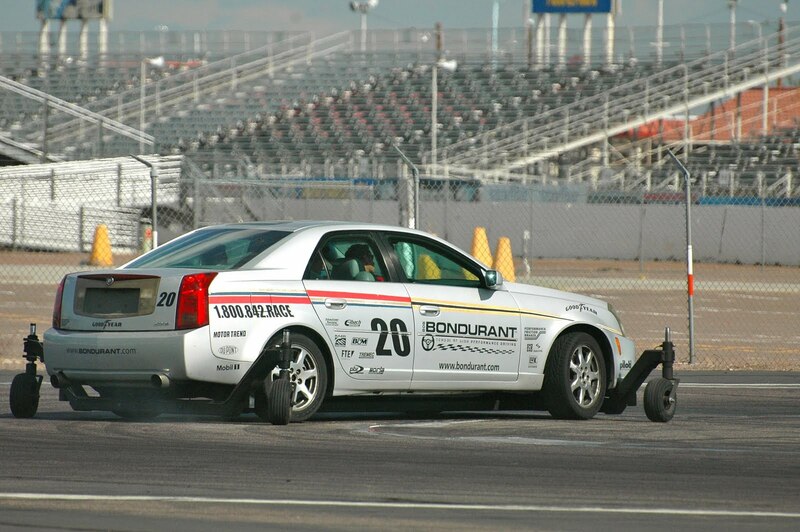 In a freak occurrence, I hit the cone just right to break the metal valve stem on my Forgeline 17x11 race wheels. I did not have time to get it fixed in town so it ended my day. On the bright side, my 4th run turned out to be quite fast and earned my 1st place in Pro Class and Top PAX overall for the event. Overall, the new car and I are quickly becoming friends! I now have 12 competitive runs in the new ESP Camaro Z28 and I am really excited with how it has performed. I am 2 for 2 for overall wins so far and can't wait to see how the pace picks up as I continue to learn the new racecar. Thanks to Equipe Rapide for welcoming us into the club especially to the guys who tried to help my fix my valve stem at the track! We look forward to running with your club again. The rear differential is starting to slip causing me to get inside wheel-spin in some of the higher-lateral-G corners which definitely affected my times. If it gets worse tomorrow, I may be in trouble for repeating this result tomorrow. A diff rebuilt will be in the works soon! Either way, Equipe Rapide is a great club to run with with many talented drivers who are fun to hang out with as well. Lane, Yama, and I pulled into Mineral Wells, TX tonight to compete in a 2-day autocross with the Equipe Rapide Sports Car Club this weekend. 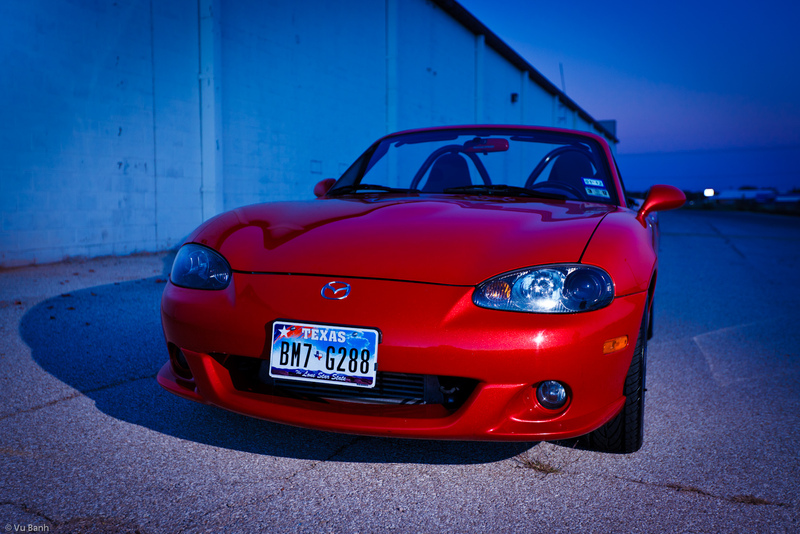 The event is taking place at the Mineral Wells Airpark which is frequently used as an SCCA National Tour site. The event will take place over Saturday and Sunday (6 runs per day) and includes some fierce competition including Mark Madarash who has won the past 5 ESP National Championships. Gotta get up early in the morning so I'm signing off. Tomorrow should be fun and I can't wait to try out the new Camaro! Overall, I the Bondurant school is a great learning environment and it was extremely benefincial to improving my driving, especially with course recognition on new road coarses. 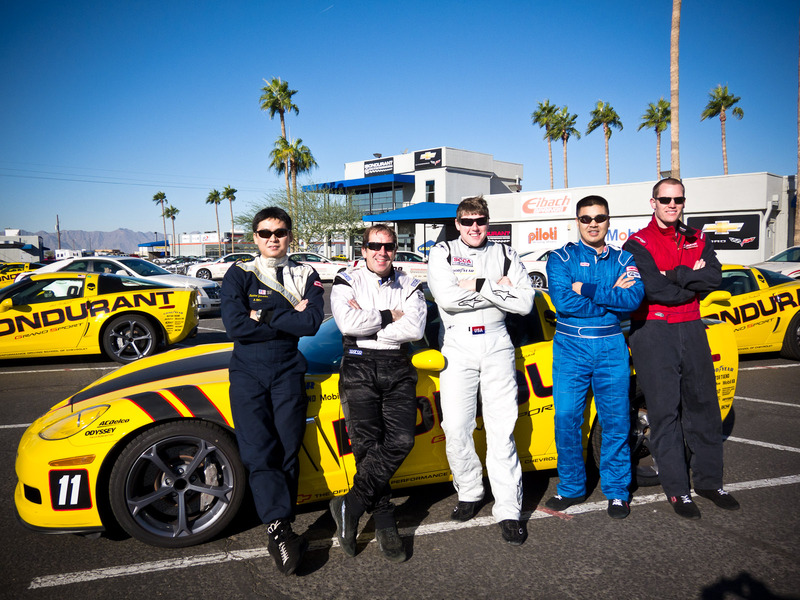 Their school cars, instructors, and overall experience is top-notch. I would highly recommend this school to all my racing buddies. 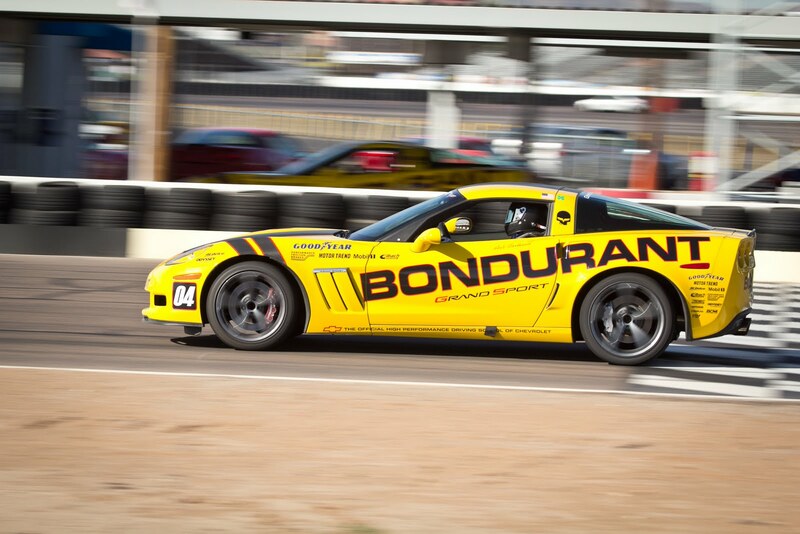 Day 2 of the Bondurant Advanced Road Racing course is in the books. The course today was mainly open track sessions on the Firebird West Course and our Bondurant instructors, Pete Miller and Austin Robison, did a great job of helping us fine tune our skills. 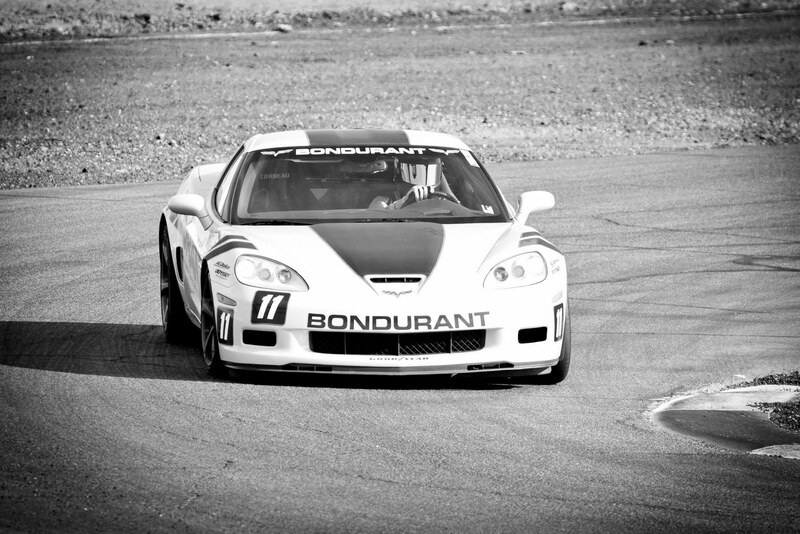 With a combination of riding, driving, practice laps, and lead/follow they helped us dial in to the new course. The West Course is a small 1.1 mile road course with one main straightaway and a good balance of steady state and transient mid-speed corners. 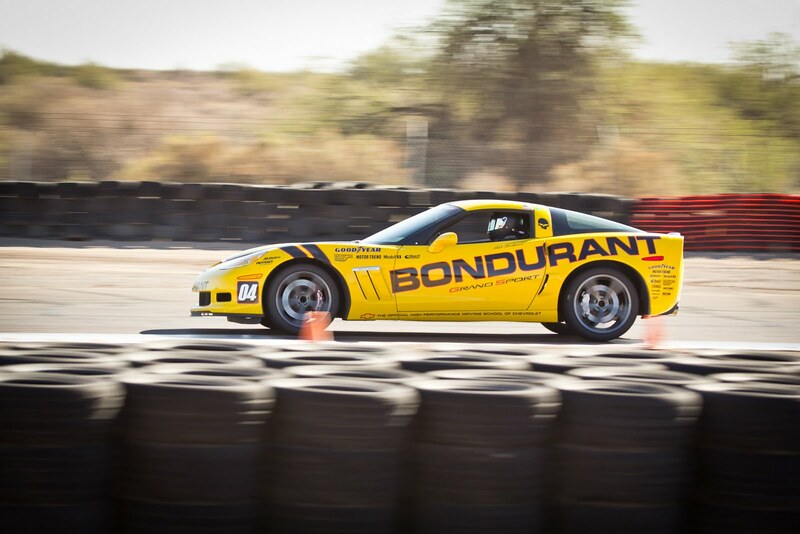 As the tires degraded during the on-track sessions, maintaining the car and adapting to the changing tire/track conditions was key to getting the most our of the Corvette Grand Sport Corvettes. For Day 3, we will head to the Firebird East course for more on-track work. The weather looks great for tomorrow so it should be a fun day of road course driving! 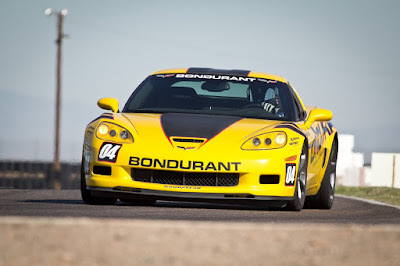 I made it through Day 1 of the Bondurant 3-Day Advanced Road Racing class today with no incidents and lots of quality seat time. Our instructors for the 6-person class were Pete Miller and Austin Robison. Both were great instructors who gave proper in-car feedback and were pretty handy behind the wheel as well. 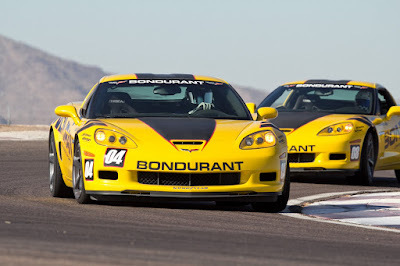 Today, we ran the newly-liveried Corvette C6 Grand Sport Corvettes around the Bondurant School course. The Bondo 'Vettes held up really well to the abuse and were a blast to drive. They have enough power to be a good throttle-maintenance training tool and the Goodyear rubber provided enough grip and good balance. Also, the brake package was very durable and we didn't have any brake fade issues all day despite the 90 degree ambient temperatures. We got lucky as we will be running 3 different tracks during the class. Tomorrow, we head to the Firebird West Course and we get to rip up the Firebird East track on Wednesday. This should really help with course recognition and to help us learn how to get pace on new tracks quickly. Can't wait for tomorrow! 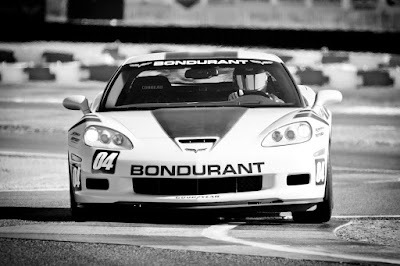 I took some video from the on-track driving with my GoPro HD camera so I post that later when I have a chance to edit. After the school, we hit up Octane Raceway for some indoor karting shenanigans from which I also have some good HD video of our "no bumping" and "rule following." Our Bondo Classroom during the Lunch Break...nice man cave! 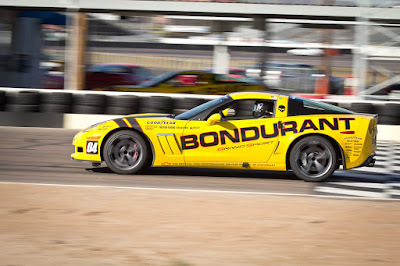 We are about leave the hotel this morning to start a 3-Day Advanced Road Racing class at the Bondurant School. 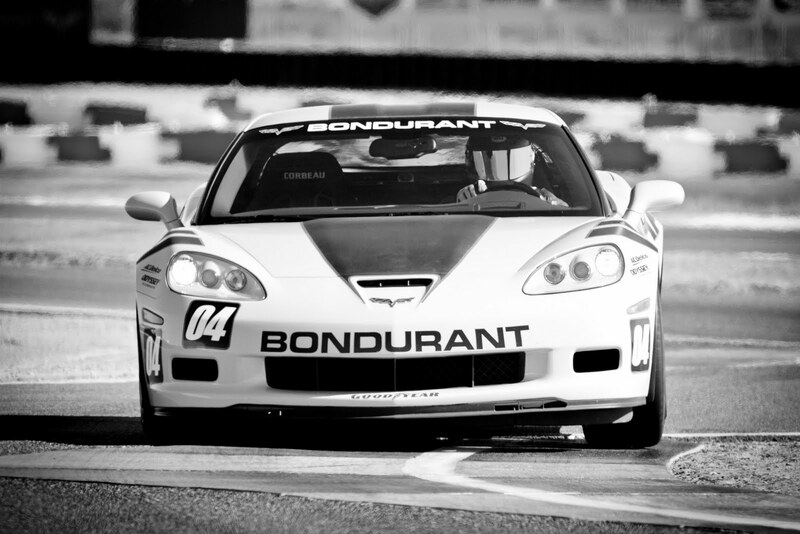 Today should be more basic, but the real fun tomorrow with track-time in the Vettes starts on Day 2 and 3. As you see below, we couldn't ask for better weather so should be a great week! The latest issue of SportsCar magazine had a full feature article on the 2011 Solo Nationals results. With my A-stock class win, I have a portrait photo and a driving photo in the magazine with a short article on A-stock class action from both courses. Thanks to my hometown friend Donna Marx for writing a great summary of the class. 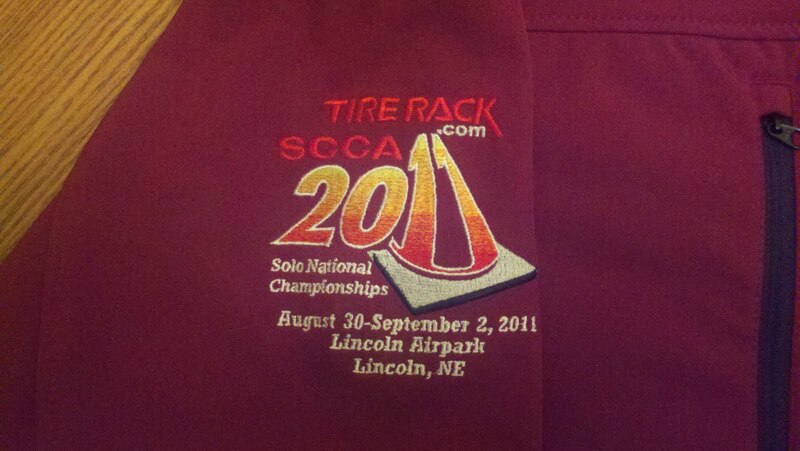 SCCA published their final results from the 2011 SCCA Solo Nationals after all protests were settled(only 2 this year surprisingly). I got the results book in the mail today and I didn't get protested so still on top in A-Stock....good news. I was able to (barely) maintain 4th place in the points after my disappointing finishes at DKC a few weeks ago. Here is the final points tally for the 2011 season...lots of work to catch the top guys! I got a mention on team 3G's website today for my points finish in the Southwest Regional Cup (http://www.3gkartracing.com/). 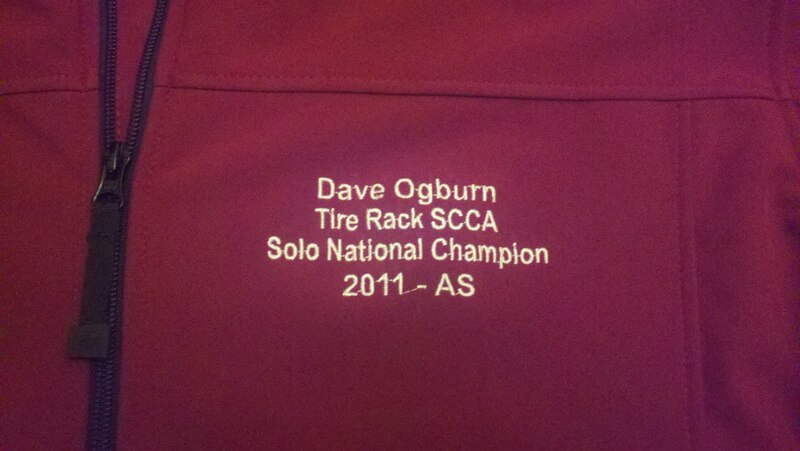 Thanks to Mark, Dave, Abe, Dallas, and all the other 3G Kart Racing guys for a great season. I learned a lot and will be looking for better results next year! My Mom and Dad made the 1,300 miles trek to Texas in our new ESP Camaro. After sitting outside for a week or so, I setup my garage to accommodate our new racecar. I plan on running my first event in the Camaro in a few weeks so more updates to come shortly. I received four 315/35ZR17 Hoosier A6 tires in the mail a few days ago as part of my National Championship winning contingency package from Hoosier. These tires are for the ESP Camaro...you know a race tire is proper sized when your fiance can fit inside of it! Joe, Stuart, and I made the trek to Caddo Mills, TX for rounds 9 and 10 of the Southwest Regional Cup at the newly built Dallas Karting Complex. My parents were also in Dallas for the weekend so we had a big crew of family and friend out at the racetrack which always makes for a great race weekend! The DKC crew did a great job of promoting the event with many more spectators watching from the view deck than at most regional kart races. 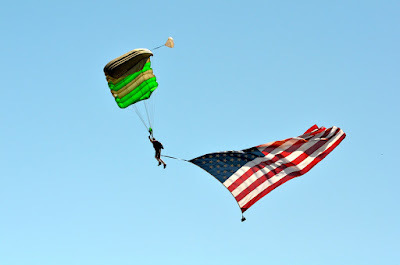 In addition to the crowd, they was plenty of "talent" to look at from the DKC Girls to the 105.3 the FAN Fantasy Girls, a spectacular paratrooper entry for the American Flag, and the largest field of karters this year in TX. However, the event did not go on without it's growing pains. The schedule changed every ten minutes and the program took much longer than previous SWRC races which made it tough on the racers especially those traveling long distances to race at DKC. I expected to get back before 10PM on Sunday, but didn't get back into well after 1 AM after schedule changes and delays. 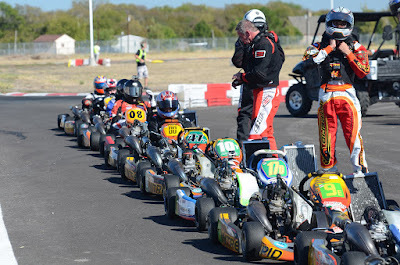 Also, their scoring system works great for rental racing, but is not so fine-tuned for competitive kart racing. But I'm sure the DKC will get these items figured out as they host most big-time kart races in the future. Now for the track, it was very challenging and physically demanding. The entrance to two parallel corners quite bumpy probably due to some groundwater (or lack thereof) issues. 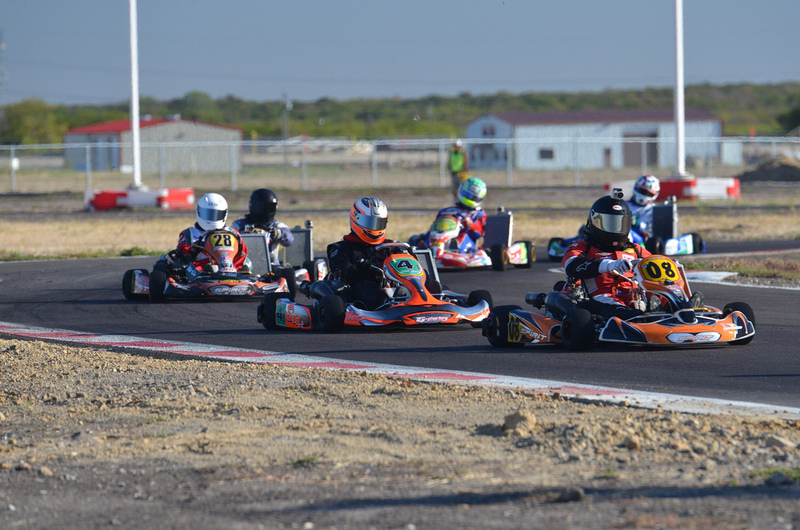 Other than these two corners, the pavement has good grip and rubbers in nicely throughout a race weekend and the curbing is excellent for kart racing. 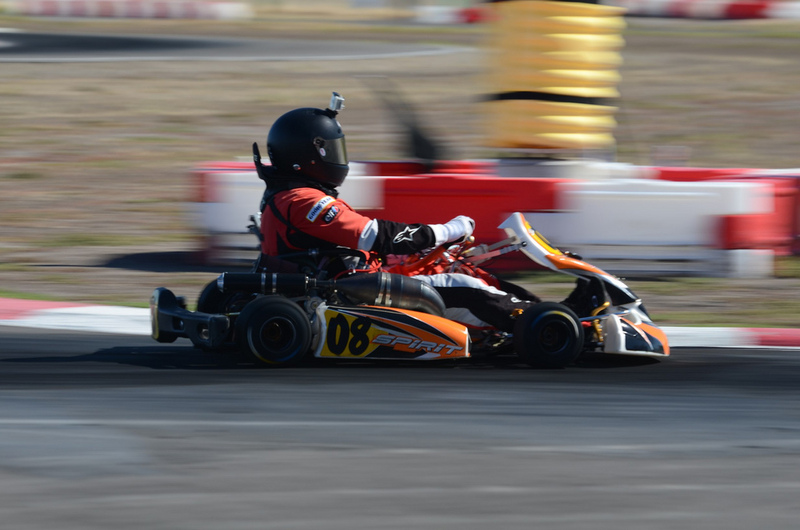 Overall, it drove more like a road coarse than a sprint kart track with long stretches of full throttle to run the kart fully through 3rd and 4th gear and a long 85mph straightaway. 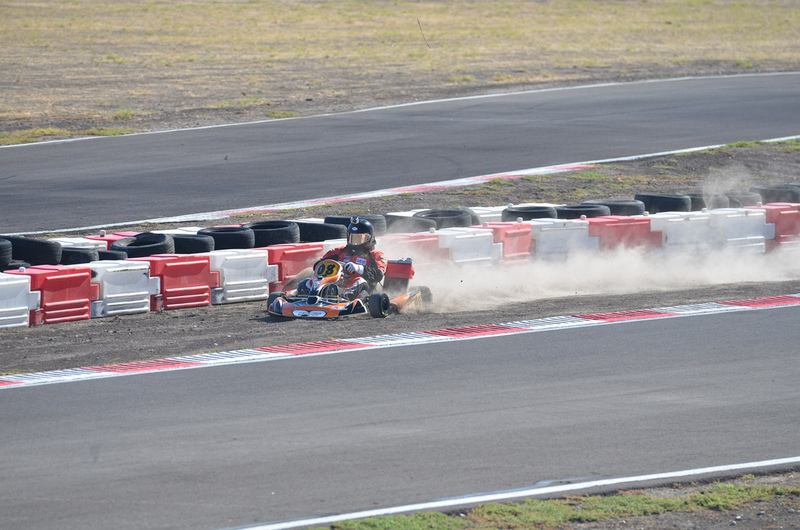 Despite the great weather and atmosphere at DKC, I did not have a great weekend on track. I was plagued by brake issues all weekend and really did not get the brakes working properly until Sunday. 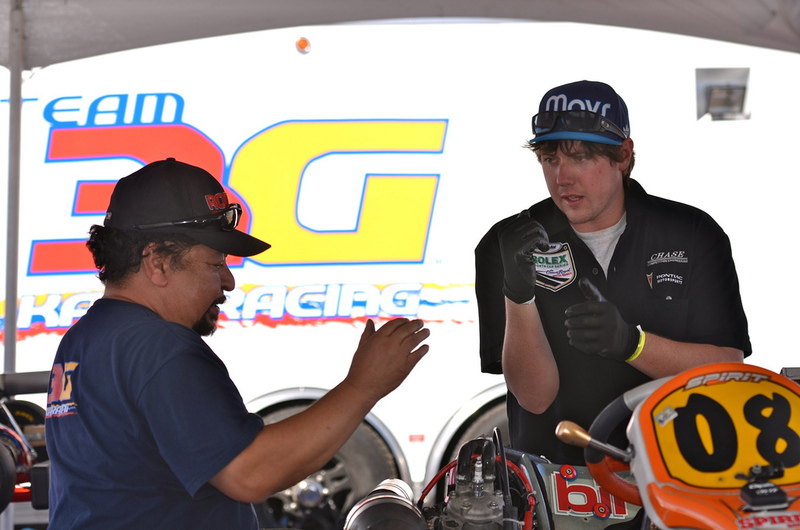 Thanks to the 3G Kart Racing crew for helping me work through these issues! 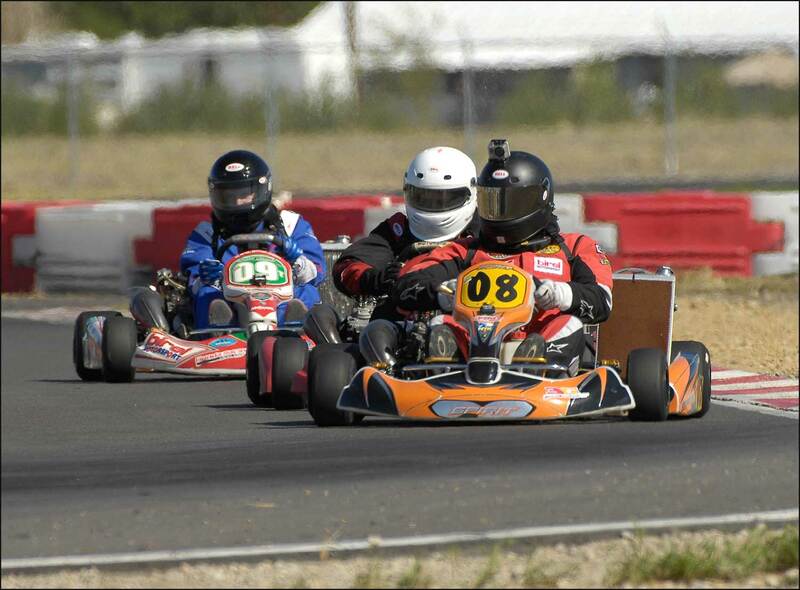 This was my first time at the track so I was at a disadvantage to the many Dallas-area racers who had put in some practice laps at DKC. 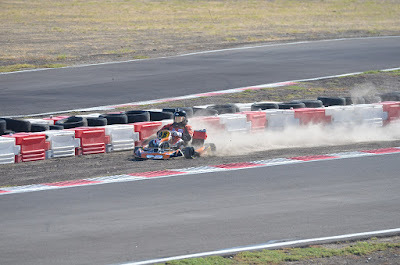 I used Friday's practice sessions to learn the new track, but luckily my base setup and gearing worked very well here. 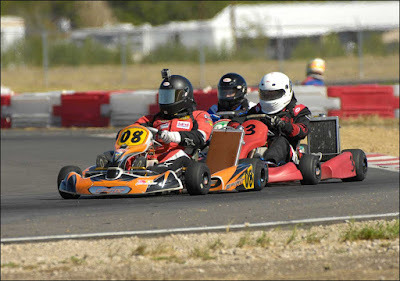 This helped me to focus on my driving without too much kart tuning. Up to this point, I had not missed a single racing or qualifying lap in the SWRC, but I had my first two DNFs of the season in both features. 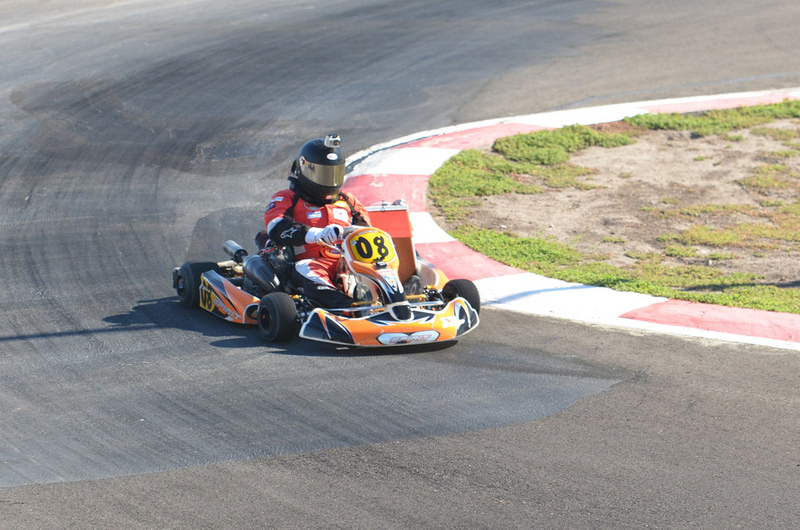 I was fighting for top-ten spots in both races, but had a engine mount come loose in Saturday's 15-Lap feature and then had a coil wire break during Sunday's 16-lap feature race. I finished the weekend with disappointing 14th and 11th place finishes respectively. 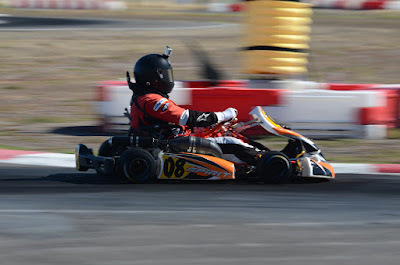 The 6-week layoff between kart races did not do me any favors so for future, I need to do a better job of staying in karting shape between big races. It's all uphill from here! I have a few more NTK club races planned for the remainder of 2011 in my shifter kart and will hopefully be running our new E-Street Prepared Camaro Z28 in some TX autocrosses to begin my run for the 2012 ESP Solo National Championship so the racing season is not-at-all finished! 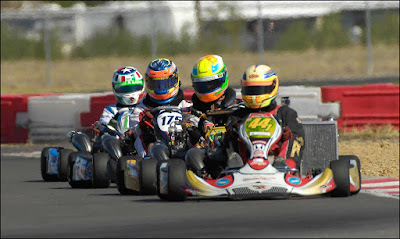 Here are some great photos from the race weekend taken by my Father and Father-in-Law. It's always great to have them at the track supporting me, especially when they have their high-dollar cameras!